Willow’s best friend was sentenced to juvie for murder for four years. Now he’s back. Innocent of the crime he is determined to find out who framed him for murder and why. But now that he’s back, Willow’s life is now in danger and they must repair the bridge between them to save themselves and fix the past. 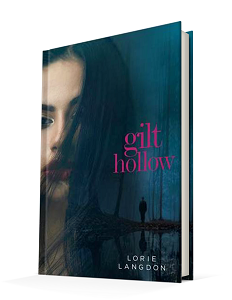 Published September 27, 2017 by Blink, Gilt Hollow by Lorie Langdon is a contemporary young adult mystery that dealing with a teen wrongfully convicted of murder and the friendships that suffered because of it. Gilt Hollow is one of those novels that’s somewhat surprisingly good. It’s a book that one reads the synopsis on the back cover and it leaves this sort of uncertainty of whether it’s going to good or not. But then the reading starts and it becomes incredibly addictive. 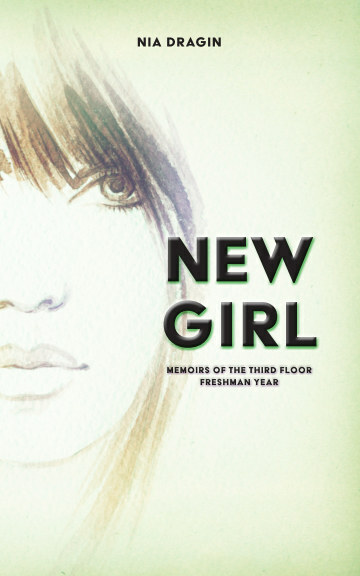 The story follows two teenagers who are trying to put the past behind them. When one comes back from juvie after four long years, putting the past behind him isn’t so easy. From a rich family that seems to have abandoned him, he’s struggling to meet the expectations required of him from the state and Willow is struggling having her old friend back, whose crime also left her scarred and ostracized from the small town. But the moment these two move past that and rekindle their old friendship, they begin to dig deeper into the past to solve the crime that sent him to prison in the first place. While all this is going on, some mysterious person begins to stalk Willow. This is where the tension begins to rise, alongside the mystery. But the suspects, they are limitless here. There is an entire high school of suspects to take from, and it is high school, not to mention the writer makes the characters so believable. Because of that, it’s impossible to figure out who the stalker/killer is. There are various pieces to the puzzle laid out, but they could mean anyone. Everyone is a suspect and that’s what makes this a riveting read. Then there is the fact that the characters continually grow through the novel. These are such captivating characters who have gone through so much, and they are defined by the past and how it changed them, hot it motivated them to be better than the world around them. That’s such a strong message to tell in a story, and it worked to create such depth for this novel. Moreover, by working through the tension of the past and working on surviving and moving on through the present. It’s a motivational read that follows strong characters as they work through the pain of the past, and that makes it relatable.